Home » Ideas for Reuse & Repurposing » Win this wreath trimmed with salvaged hardware!!! 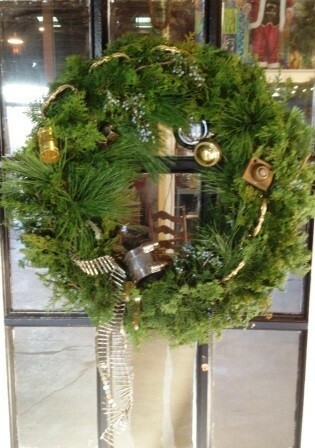 Win this wreath trimmed with salvaged hardware!!! Floral designer Eugenie Anderson used fresh holiday greens and berries, and trimmed it with treasures found here at the ‘Lift! For every $5 you donate to Community Forklift before Dec. 15th, you’ll be entered for a chance to win this lovely prize. Donate online now, or at the warehouse. 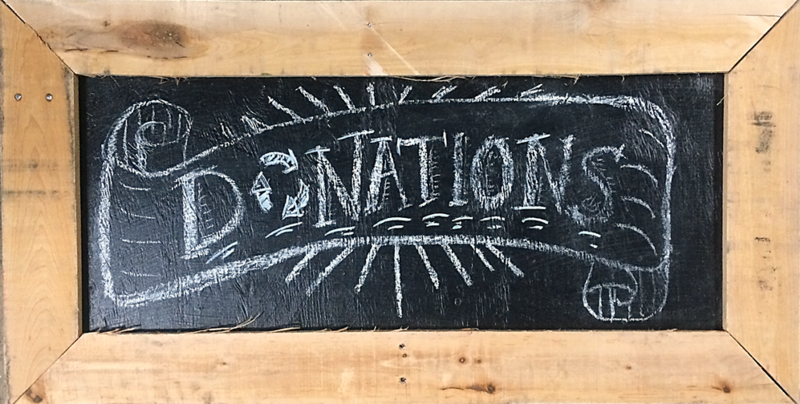 Your donations will help us continue to create green jobs, make repairs affordable, reduce waste, and provide free supplies to local charities & families in need. Drawing will be held at Community Forklift at 2pm on Dec. 15th. You don’t need to be present to win – but we recommend that you pick up the wreath soon after, so you can enjoy it while it’s fresh. Eugenie the Elf is busy in her workshop, creating holiday wreaths, swags, and table decorations! Contact her at 240-731-7966 or AndersonEugenie(at)yahoo.com to place your own custom order.